Seaplanes has a huge variety of technical expertise. Please see details below, and the drop down menus for Float change and storage specifics. Don’t forget, never hesitate to call or email!! We like to hear from you!! 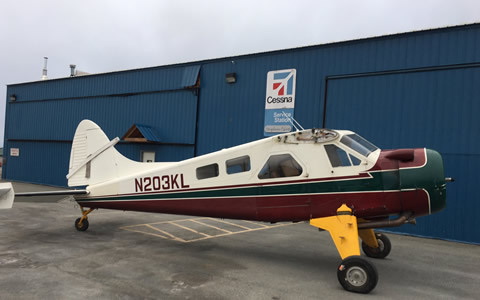 AIRCRAFT APPRAISALS: We have done many appraisals for Estates, law offices, banks, and lending institutions as well as hundreds of evaluations and sales of aircraft, floats, and skis. Let us help you through the process whether it’s an official appraisal that is needed, brokering a sale, or even some “lesser” services like a basic evaluation. 907-248-6161. CUSTOM CONTROL CABLE AND HOSES: Bring us your specifications and preferably an example to copy and we can make a beautiful control cable or hose for you. FLOAT WASHING: we have a very reliable process for getting your floats clean that we have been using for years. The product we use is a trade secret that was actually shown to us by a special customer. It’s not a true magic bullet, it still takes work, but they key is that we are not afraid of it, and we can get most floats looking very good again, in a very practical time frame and price point and that saves you the trouble. CESSNA SERVICE: Seaplanes North is a Cessna Single engine authorized Service Center with vast experience in maintenance and supplying parts. Our expertise and customer service are unparalleled. CUBS: We work on lots of Piper, Husky, Champion and Cub Crafters products and love them all. We will do the right thing for you always. DEHAVILLAND BEAVER: Seaplanes is an authorized representative of the original equipment manufacturer, Viking, as well as stocking engines and parts from Sun Air and others. With our exemplary service, resources, and capabilities you will enjoy the result. We Know Beavers! 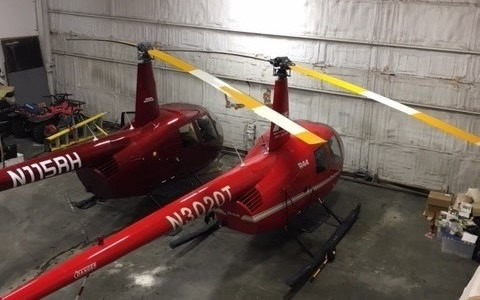 ROBINSON HELICOPTOR: We have three trained and experienced R44 technicians on staff, full tooling, and parts on the shelf. We love to work with the Robinson products. AIRVAN GA8: We are factory trained, Authorized, and experienced with the Airvan GA8 and find them to be excellent aircraft and easy to work on. 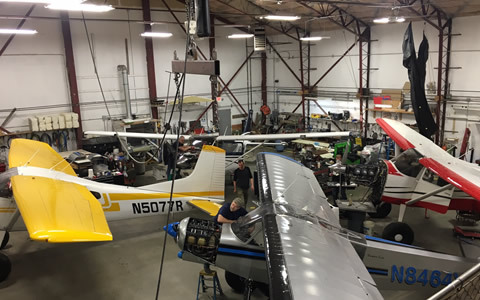 CESSNA CARAVAN: We have trained and experienced personnel in parts and maintenance for the Cessna Caravan and love to work with them and with you. FLOAT INSTALLATIONS: From first time installations to basic float swaps we are the worlds go-to for Single engine float plane expertise. Doing it right the first time is much easier with Seaplanes North so come to the ultimate experts. FLOAT REPAIRS AND INSPECTIONS: We are repair specialists as well as installation specialists and we have factory training for Aerocet floats. We are very comfortable with all sort of repairs. If you need only inspection for any reason we are very happy and capable to help you including leak checks and estimates to makes repairs based on the findings. HELIO: We have extensive experience with the Helio and we would like to work for you. Everything from landing gear swaps to thorough restorations fit comfortably into our capabilities and typical operations. ADSB compliance: We are a trained, equipped and Authorized Lynx L3 distributor and installer. Get ready for 2020 early with the best products with everything from touch screen transponder replacements to remote mount units. They are beautiful products and most have wife, traffic, and weather options. PROP BALANCE: We have Trained, experienced technicians and we are very well equipped to get the optimum dynamic balance. Yes your prop should be static balanced at the factory or at the overhaul shop but that is an entirely different thing from a dynamic balance on the aircraft. As with every one of our services we want to work for you and we can make a difference for you especially with this important and often overlooked service. TRANSPONDER CERTIFICATION: We have experience and top notch equipment to handle this little task. It may be convenient while you’re here for something else but we are also happy to do a just this service only for you if and when you need it. Remember its required by law every two years and it’s easy to overlook. FLOAT PLANE MOVING: We have not one but the two of finest and safest Seaplane moving “gators” in the world and excellent operators to run them for you. We are happy to move most any kind of wheel or ski plane as well. MT PROPELLERS: Distributorship, repairs, disassembly, or reassembly (typically for shipping). Seaplanes North is Fully authorized and trained with proper tools to handle these amazing propellers properly and practically. SPORTSMAN AND WINGX: Seaplanes has been the exclusive Alaskan dealer for these two iconic mods for many years. We are the installation experts as well and we take great pride in our quality and speed. The ultimate Cessna wing has these two mods and Seaplanes North is where to make it happen!!! 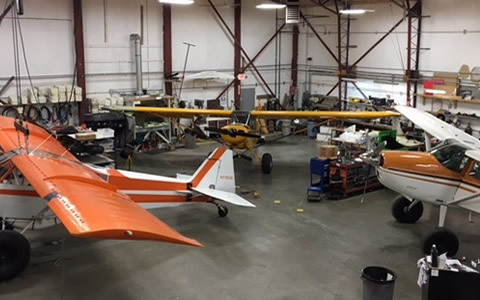 ROBERTSON STOL: Seaplanes is Alaska’s Authorized Robertson STOL installation, sales and service center. Many folks are afraid of the complexity of the Robertson rigging but we aren’t among those. It is virtually second nature to most of us here and we have and extensive collection of drawings and rigging instructions in our reference materials as well as installation jigs.